Night-Owl clashed with Superman that one time, in 1942. I don’t think he was ever seen again – recurring villains weren’t the norm back then. But he’s an entirely cromulent, simple Golden Age bad guy who’s easy to use. That’s valuable. Group Affiliation: Leads his own gang. Base of Operations: A large mountain cave near Metropolis. Eyes: Unrevealed Hair: White, balding. Night-Owl is one of ’em criminal masterminds. He’s an excellent planner and leader, and is adept at ruling through fear. His mob is more competent and disciplined than most. In his vicinity owls become markedly more social, less light-averse and less shy. They can also follow his whispered commands with abnormal acumen. For instance, if whispered a kill order, an owl will unerringly know which person Night-Owl wants dead. The owls also seem specially trained at disarming people, by swooping to knock handguns off hands. Swooping is… bad. Night-Owl brewed up a poison his owls can dip their talons into. This is sufficient to kill most people with a few seconds of determined clawin’ and scratchin’, if they’re not protected. Night-Owl is an adept scientist and engineer. His key discovery was “black light”, which plunges an area into darkness. This seems to be the equivalent of a particularly dark night without a moon. However, Superman’s super-senses, and technology not using the visible light spectrum, could easily penetrate this darkness. Night-Owl’s men were equipped with special goggles allowing them to operate unimpeded. Black light needs a fairly large projector, looking like a searchlight. But it can affect a large city block if mounted atop a high-rise building. From the outside, it looks like a dark brown cloud of rolling darkness. As part of his “many darkness experiments”, Night-Owl altered his eyes to be able to see in all sorts of low-light conditions. It is clearly possible that he had other, small owl-like artificial mutations. Night-Owl used his “black light” discovery to launch a crime wave. He ran a test on a Metropolis block, plunging it into darkness during the early morning. This allowed his men to rob everything. Lois Lane realised what was going on. Thus, she and Clark Kent accompanied the police when they responded to the next test. This allowed Superman to arrest one of the Night-Owl’s men. However, Night-Owl had one of his owls fly above the police station, intimidating his gunsel into silence. Night-Owl’s men raided the prison to free their comrade under cover of darkness. 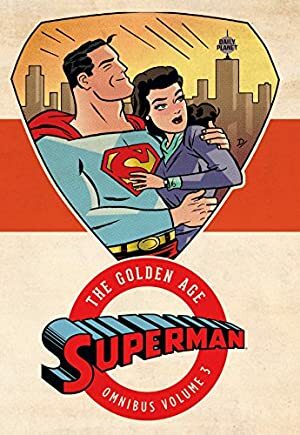 But both Superman and Lois had anticipated this. Superman was impersonating the freed criminal. Meanwhile Ms. Lane hid in the trunk of the gang’s getaway car, as was the style of the day. She also had the hood’s night-vision goggles and a gun. 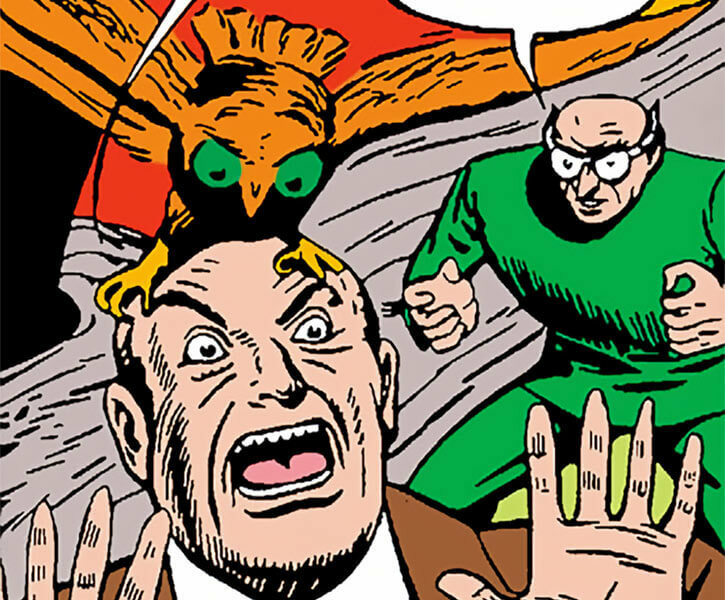 However, Night-Owl’s bird easily disarmed Lois. As the experiments had been successful, Night-Owl launched a big crime wave, using pre-positioned crews and black light projectors. But Superman flew into action and put a stop to it. While he was gone, Night-Owl killed the lights. Though Lois still had her goggles, these were only effective against “black light” – whereas the criminal could see even in natural darkness. But Superman burst in wielding a motorcar like a flashlight. The sudden light dazzled the darkness-adapted Night-Owl. The master criminal was arrested and, as far as I can tell, never heard of again. I don’t think he ever got to fight Doctor Mid-Nite, which is a right shame. Perhaps Night-Owl is Mid-Nite’s evil twin, separated at birth ! Night-Owl conferred with his men in a dimly-lit natural cavern, where a number of owls nested. He’d be usually be perched on a trapeze, as you do. One assumes that these visuals were to help with his mystique. Cold, ruthless, articulate, ruling through fear and intelligence. He will occasionally state that certain failures will be punished by death. Executions will be carried out by ordering his owl to attack with poison claws. However, he doesn’t kill his men willy-nilly, and he may even mount rescue operations. From the quote below, one gets the impression that he’s a scientist who turned to crime not long before the story began. He likely would have ties with the Owl (Leland Owlsley), albeit distant ones. 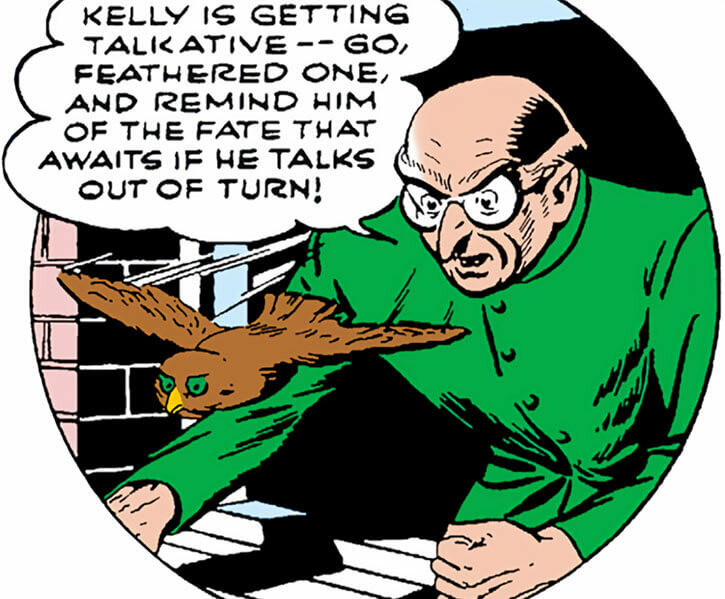 Perhaps Night-Owl was a successful crime lord during the 1940s and 1950s, with a few clashes with the Angel (Thomas Halloway). Memories of this reign would have helped Owlsley establish his mystique. During the 1940s he might have run into Quality’s Phantom Lady, and during the 1950s Fox’s Phantom Lady (who are one-in-the-same, sort of). 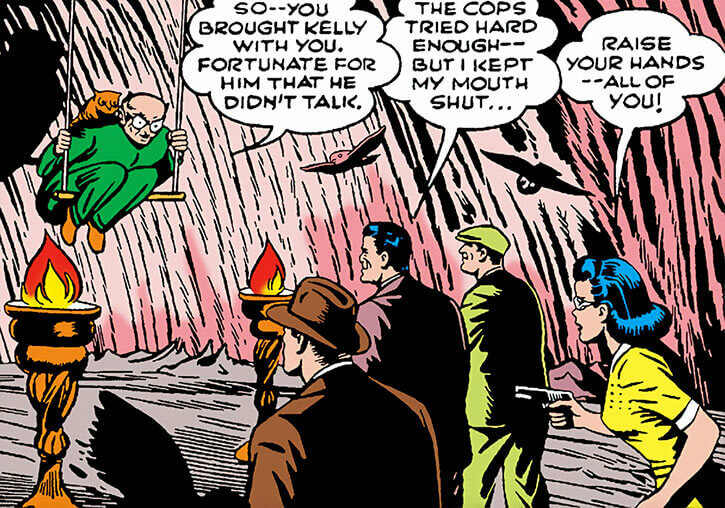 Later, he might have run into DC’s Phantom Lady (who is… you get the idea). He may have even straightened up and ended up at the Notre Dame des Ombres ? Speak with Animals is limited to owls. Headquarters (Expansive), Lightning Reflexes, Pet (Owl), Scholar (Darkness-related technology). Attack Vulnerability (Bright lights, – 1CS OV/RV), MPR (wears glasses – he’s likely nearsighted). BLACK LIGHT PROJECTOR [BODY 02, Darkness: 04, Bonus: Darkness has a Special +18 Volume Bonus, R#2]. His mob had at least a half-dozen of those. Poison touch: 04, but limited to targets that the owl can claw bloody. Use the standard mobster stats. They’re more focused than usual, but it’s more of a RP thing than stats. They’ll have the usual .45 handguns, with one guy out of three having a submachinegun. 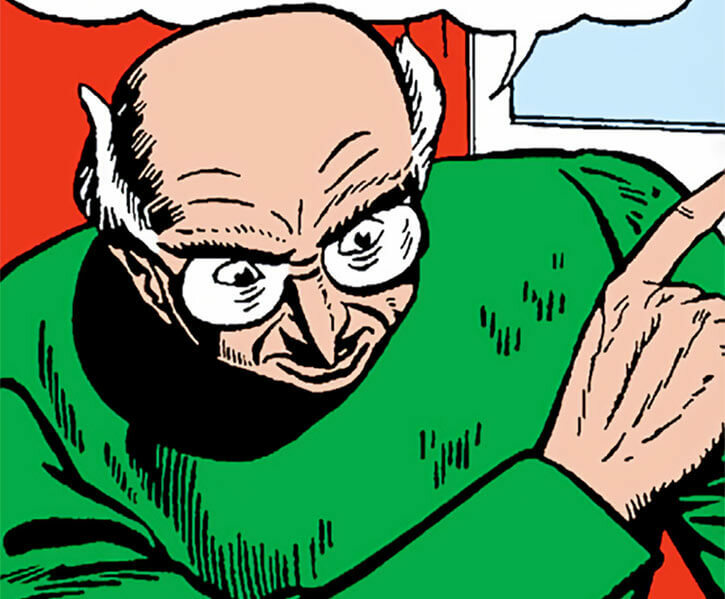 Source of Character: Action Comics Vol. 1 #53. Writeup completed on the 18th of May, 2018.